Disney Veteran Glen Keane just announced he will be directing Pearl Studio’s “Over The Moon” as a world premiere animated film for Netflix. 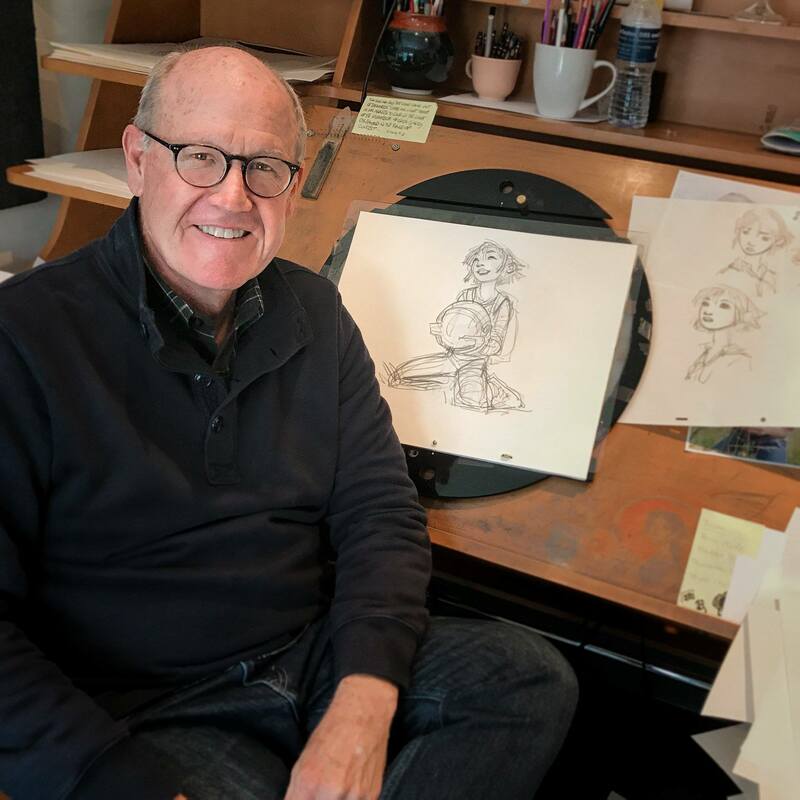 Glen Keane needs no introduction, known for animating “Tarzan”, Ariel from “The Little Mermaid”, Beast from “The Beauty and the Beast” and many many more. He animated one of the greatest animation sequences of all time when the Beast transformed back into a human right in front of Belle in “The Beauty and the Beast”. So we know “Over the Moon” is going to have amazing animation! “Over the Moon” is a musical adventure animated feature about a girl who builds a rocket ship to reach the moon and hopes to meet the legendary Moon Goddess. Here is a picture of the heroine Fei Fei. “Over the Moon” will be released in 2020, it will be in theaters in China, and it will be released on Netflix for the rest of the world. When we find out more we will give updates! Not to sound like a Devil’s Advocate nor putting someone down, while I’m glad Glen Keane gets to direct Over The Moon and help out in shaping up Pearl Studio’s capabilities in the animation game, I feel that this announcement is mislead in the hype of its medium (More CGI than hand-drawn in the final product). – Pearl Studio, which is producing and animating the film, is a heavily CGI studio that once was Oriental DreamWorks Animation that helped co-produced Kung Fu Panda 3 with DreamWorks Animation in Glendale. – Glen Keane happened to have some experiences with CGI when he was director of Rapunzel/Tangled (originally hand-drawn in its development stage and his initial plan as such, but was changed to CGI and decided to find an approach to translate 2D aesthetics to CG models, though he stepped down from director, he still helped out in the background to make it possible). – This is nothing new in the trend of hand-drawn skilled animators/directors directing a CGI film by utilizing their drawing skills for posing, storyboarding, references, layouts, etc. to translate to a CGI model, scenes, and backgrounds (Moana by Ron Clements and John Musker, How to Train Your Dragon by Chris Sanders and Dean DeBlois). I know some of you are excited for Glen Keane to finally direct his first film after development hell in Tangled, plus how his approach would make the film look as much artistry as possible. I’m glad he’s making it don’t get me wrong. But I feel that with the past articles hyping that it seems that it’ll be hand-drawn, plus Pearl Studio’s background, it won’t be what you’re expecting for the final product. That being said, it might be possible that he could have it be a 2D/CGI hybrid similar to Paperman, Feast, etc. Though with that or actually doing hand-drawn if I’m wrong, the Chinese animators will have to be trained in those fields given that they only specialize in CGI animation. 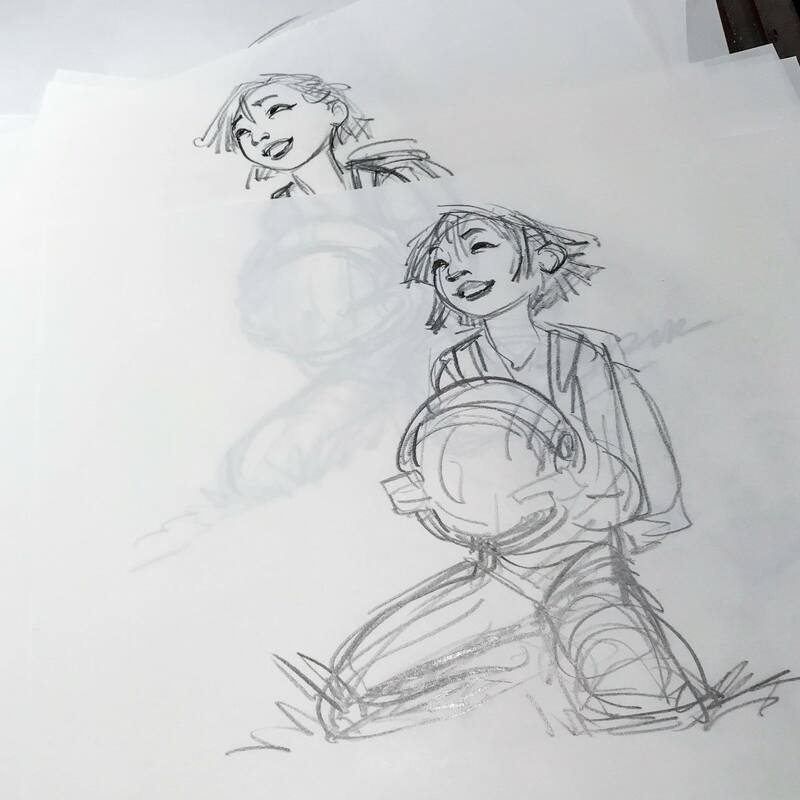 There’s no denying that Glen’s own experience with Duet and Dear Basketball would add to Over the Moon plus the pre-production storyboards, character designs, layout, etc. by him and his team to prep for production. But the end result will still be CGI as what the market for Netflix and China would stand by than going back to hand-drawn as a risk. That’s not to say I’m opposing that move as I don’t hate CGI films, and I’m pretty sure the film being CGI or not would turn out good as long as the story and characters are done well from Glen’s own skills. I would be slightly disappointed if more info says that it’ll be CGI and will understand it based on the current market Glen needs to adapt to to keep making feature films, but nevertheless, it’s good that Glen has another chance in his directorial gig that would translate in any medium he touches along with the team provided. Wishing him luck. How. Dare. You. Thought I. How dare you tell me that no one will ever pay money again to see the “garbage aesthetic” of 2D animation, then turnaround and try to make your supposedly superior CHI look like that supposedly unreliable “garbage aesthetic”? I’ve done CGI. And I was good. I even did the modelling where one particular “I don’t need talent, I have computers” students failed, and picked up on the rigging too, when the CGI enthusiasts wouldn’t touch that. I’m not just some butthurt wood nymph hang because I can’t transition. And let me tell you, nothing in CGI ever came close to the feeling of joy and accomplishment I felt animating with a pencil in my hand,not to mention the feeling of having created art, *real* art, rather than having completed a sterile engineering chore. Rigging came the closest, but still fell short. Nothing computers can ever do will ever replace the pure human connection and communication of real hand-drawn traditional animation. Oops, sorry to go off like that! :-). As you can see, I have strong feelings on the subject! But it still frustrates me to no end how much could be accomplished if CGI stopped treating traditional animation like an enemy to be eliminated and started treating it like an ally. Btw, her supposedly hand drawn looking CGI looked nothing like hand-drawn traditional animation and everything like 3D animation. Will it be traditionally animated? I know it sounds like a dumb question,but Glen Keane had a big influence on Tangled which was 3D, so I’m hoping this isn’t just another darn traditional living god moving over to the 3D bs. Please say it will be traditional? Will it be traditional animation? I know he’s a living legend in trad an, but that’s no guarantee in my experience. Hope Kobe Bryant’s involved, otherwise I don’t think Glen knows what he’s doing. Welp. Found out its entirely cg. Lost every ounce of interest in watching it.